KSP was the 300 millionth transaction through the NICS. FRANKFORT, Ky. (Dec. 6, 2018) – KSP received recognition from the National Instant Criminal Background Check System (NICS) for reaching a milestone by completing 300 million transactions in the system. The NICS is a United States system for determining if prospective firearms or explosives buyers’ name and birth year match those of a person who is not eligible to purchase. 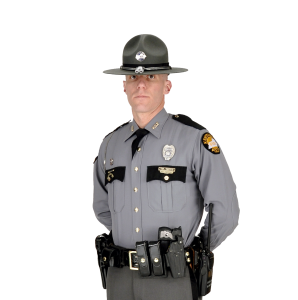 National NICS Chief Robin Stark-Nutter advised KSP that on November 4, 2018, at 6:14:15 p.m., the agency conducted a NICS query for a permit that resulted in the 300 millionth transaction through the NICS.